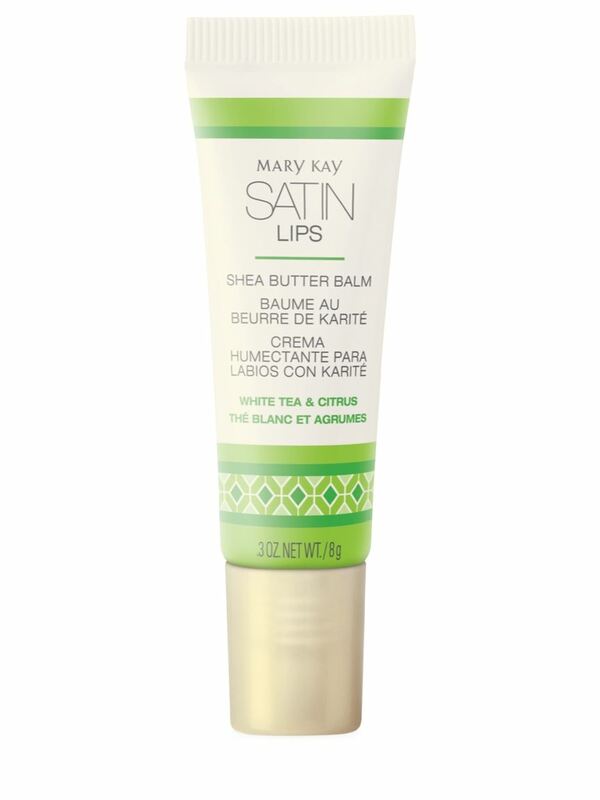 Satin Lips® Shea Butter Balm deeply moisturizes lips and leaves them feeling nourished. Blended with shea and jojoba butter to help comfort and soothe lips. Antioxidant-rich shea butter helps skin retain moisture. Jojoba butter helps moisten and protect your skin. Formulated with white tea & citrus to lend a fresh scent. The hydrating shea butter balm is just what thirsty lips crave. Once the Satin Lips® Shea Sugar Scrub has worked its magic, pamper your lips with Satin Lips® Shea Butter Balm for a kiss of nourishment. It’s formulated to leave lips feeling satiny-smooth and deeply moisturized. Watch dryness melt away as a mix of shea and jojoba butter comforts and soothes lips. After exfoliating with Satin Lips® Shea Sugar Scrub, apply Satin Lips® Shea Butter Balm to deeply moisturize lips and feel the instant bliss. Shea Butter. Used for centuries to protect, enrich and soften skin, shea butter is known to contain O-mega 3s. Omega-3s are known to help maintain the skin’s natural moisture barrier, and when the skin’s barrier is protected, precious moisture is less likely to escape. A perfect ingredient for your everyday spa experience, shea butter wraps skin in creamy hydration bliss. Jojoba Butter. Known to mimic oils that are naturally produced by the body, helping to moisten and protect your skin. Satin Lips® Shea Butter Balm won in Hola!® magazine’s “Best in Beauty: Lips” category. Satin Lips® Shea Butter Balm deeply moisturizes lips and leaves them feeling nourished.